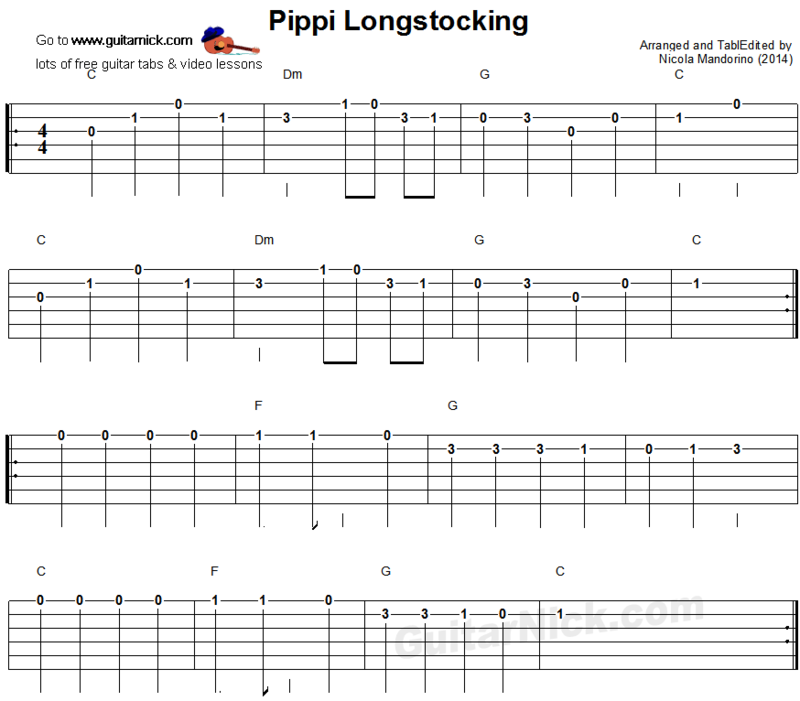 Learn how to play this nice theme of the Swedish "Pippi Longstocking" television series. This easy song is perfect to learn guitar for beginners. Free guitar tablature, sheet music, video tutorial and chords.